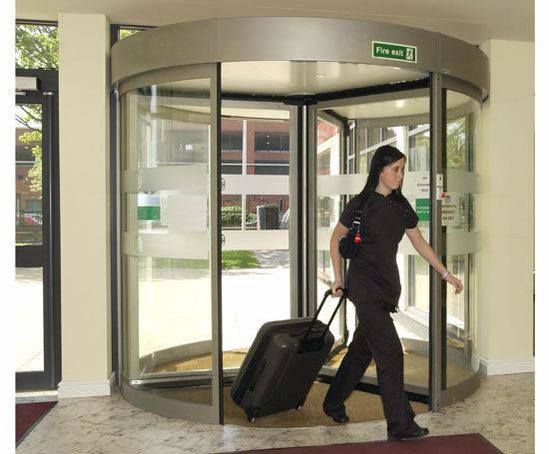 CLASSIC small automatic revolving doors provide an energy efficient entrance system that works to combat heat loss in winter and heat gain in the summer. 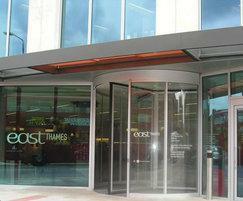 CLASSIC small automatic revolving doors provide an energy efficient entrance system that works to combat heat loss in winter and heat gain in the summer. They are particularly suitable for areas of high traffic densities. 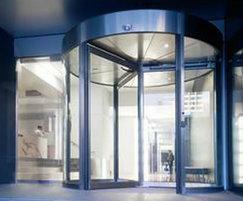 CLASSIC small automatic revolving doors have a traditional design with aluminium profile closures, visible drum wall profiles, a crown compartment from 250mm and a drive system located in the ceiling. 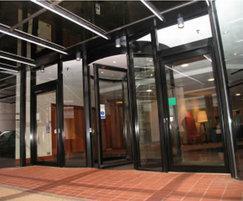 They are suitable for door diameters from 1.6 to 4.0m with three or four door leaves. 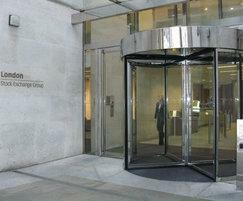 Drive TRP revolving door drive systems can be used with any revolving door type, with diameters from 1.6 to 6.2m in size and with three or four door leaves. They are particularly suitable for use with large, heavy doors.